Protestantism operates in the spirit of its founder, Martin Luther: Protestantism’s influence in the world reflects Luther’s influence. What was Luther’s character? What was the nature of his revolt? Jacques Maritain provides us here with a sketch of both. He goes on to demonstrate one of the profound consequences of his influence—the exalting of individuality at the expense of the person. Visitors to this website may be bemused at certain views expressed in recent articles: for example, the claim in The Pinching of Protestantism, “Protestantism is an evil thing: it has—it has always had—evil effects”; or that in Atheism’s Great Cosmogenic Myth, “Protestantism is not, contrary to belief, a religion, but a turning away from God under a guise of religion”. Maritain demonstrates here the effects, in the moral order, of Protestantism’s influence. This parallels the descent in the philosophical order from a true doctrine of causality to a bland materialism documented in the earlier articles. What first impresses us in Luther’s character is egocentrism: something much subtler, much deeper, and much more serious, than egoism; a metaphysical egoism. Luther’s self becomes practically the centre of gravity of everything, especially in the spiritual order… The Reformation unbridled the human self in the spiritual and religious order, as the Renaissance… unbridled the human self in the order of natural and sensible activities. After Luther decided to refuse obedience to the Pope and break with the communion of the Church, his self is henceforth supreme, despite his interior agonies which increased until the end. Every ‘external’ rule, every ‘heteronomy’, as Kant said, becomes then an intolerable insult to his ‘Christian liberty’. If you are looking for the translation of this egocentrism into dogma, you will find it in some of the most noticeable characteristics of the Lutheran theology. What is the Lutheran dogma of the certainty of salvation but the transference to the human individual and his subjective state of that absolute assurance in the divine promises which was formerly the privilege of the Church and her mission. Because God was her centre, the Catholic soul needed to know nothing with perfect certainty except the mysteries of the faith, and that God is love and is merciful… But without perfect certainty of her state of grace the heretical soul could not exist without breaking for agony, because she has become the centre and seeks her salvation in the justice with which she covers herself, not in the abyss of the mercies of Another, who made her. Why does the doctrine of salvation absorb all the Lutheran theology, if it be not because the human self has become in actual fact the chief preoccupation of that theology? For Luther, one question towers above all the rest: to escape the judicial wrath of the Almighty in spite of the invincible concupiscence which poisons our nature. The truth is that if it is essentially important that we should save ourselves, it is less to escape the devil than to see the face of God, and less to save our own being from the fire than from love of Him whom we love more than ourselves… Lutheran theology is for the creature; that is why it aims above all at the practical end to be attained. Luther, who drives charity away and keeps servile fear… makes the science of divine things revolve round human corruption. See with what religious pomp the modern world has proclaimed the sacred rights of the individual, and what a price it has paid for that proclamation. Yet was there ever a time when the individual was more completely ruled by the great anonymous powers of the State, of Money, of Opinion? What then is the mystery? There is no mystery in it. It is simply that the modern world confounds two things which ancient wisdom had distinguished. It confounds individuality and personality. The word individual, on the contrary, is common to man and beast, to plant, microbe, and atom. 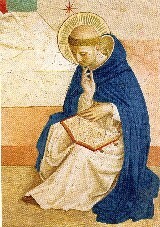 And, whilst personality rests on the subsistence of the human soul (a subsistence independent of the body and communicated to the body which is sustained in being by the very subsistence of the soul), Thomist philosophy tells us that individuality as such is based on the peculiar needs of matter, the principle of individuation because it is the principle of division, because it requires to occupy a position and have a quantity, by which that which is here will differ from what is there. So that insofar as we are individuals we are only a fragment of matter, a part of this universe, distinct, no doubt, but a part, a point of that immense network of forces and influences, physical and cosmic, vegetative and animal, ethnic, atavistic, hereditary, economic and historic, to whose laws we are subject. As individuals, we are subject to the stars. As persons, we rule them. What is modern individualism? A misunderstanding, a blunder; the exaltation of individuality camouflaged as personality, and the corresponding degradation of true personality. In the social order, the modern city sacrifices the person to the individual; it gives universal suffrage, equal rights, liberty of opinion, to the individual, and delivers the person, isolated, naked, with no social framework to support and protect it, to all the devouring powers which threaten the soul’s life, to the pitiless actions and reactions of conflicting interests and appetites, to the infinite demands of matter to manufacture and use. “To develop one’s individuality is to live the egoistical life of the passions, to make oneself the centre of everything, and end finally by being the slave of a thousand passing goods which bring us a wretched momentary joy. “Personality, on the contrary, increases as the soul rises above the sensible world and by intelligence and will binds itself more closely to what makes the life of the spirit. Such is the secret of our life as men which the poor modern world does not know: we gain our soul only if we lose it; a total death is needed before we can find ourselves. And when we are utterly stripped, lost, torn out of ourselves, then all is ours who are Christ’s, and Christ himself and God himself is our good. Luther, in Jacques Maritain, Three Reformers, Charles Scribner, New York, 1950. My copy is a republication by Greenwood Press, Publishers, Westport, Connecticut, 1970. The material quoted is from pp. 14 to 25 of this edition. The original has extensive footnotes and source notes which have not been reproduced in this extract. All emphases are in the original. Reginald Garrigou-Lagrange, Le Sens commun, 2nd edition (Nouvelle Librairie Nationale), pp. 332-3.